Tricia currently teaches Pre-College Reading and Writing. 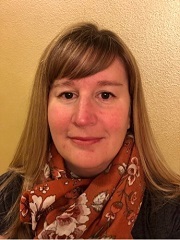 Tricia’s teaching experience includes training in a call center environment for 17 years, developing and running after school clubs, coaching, and being a 4H leader. She loves the process of learning and teaching; finding a way to make learning enjoyable is her main goal. Tricia was born and raised in Hood River. When not teaching or running her small business, her time is spent with her family and attending her children’s many activities.